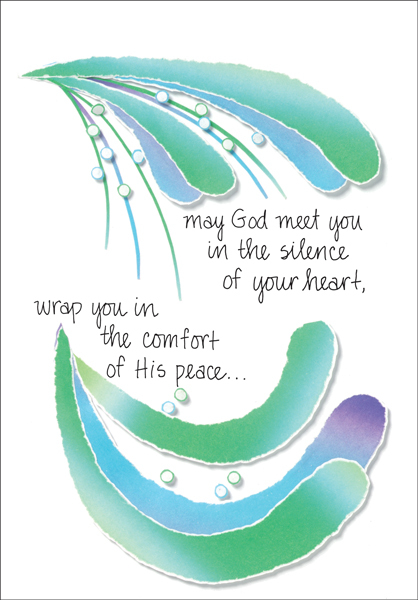 Sympathy Cards for Loss | Comfort Someone | it takes two, inc.
Lovely colorful abstract art and a message speaking of GodÕs peace will touch a grieving heart with comfort. A carefully chosen scripture verse tells the recipient of this gentle card that God is with them and will quiet them with His love. 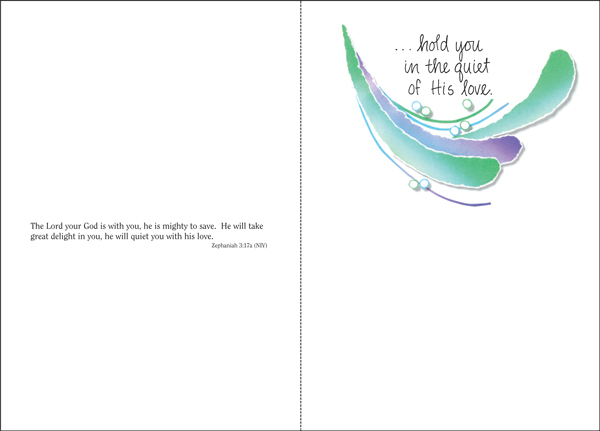 Inside: hold you in the quiet of His love. hold you in the quiet of His love. Scripture Verse: The Lord your God is with you, he is mighty to save. He will take great delight in you, he will quiet you with his love. Zephaniah 3:17a (NIV) hold you in the quiet of His love. hold you in the quiet of His love.